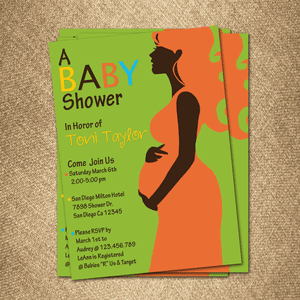 Our personalized Baby Shower invitations set the tone for your special celebration! We can create other personalized products for your baby Shower in the same theme. Contact customer service for details.